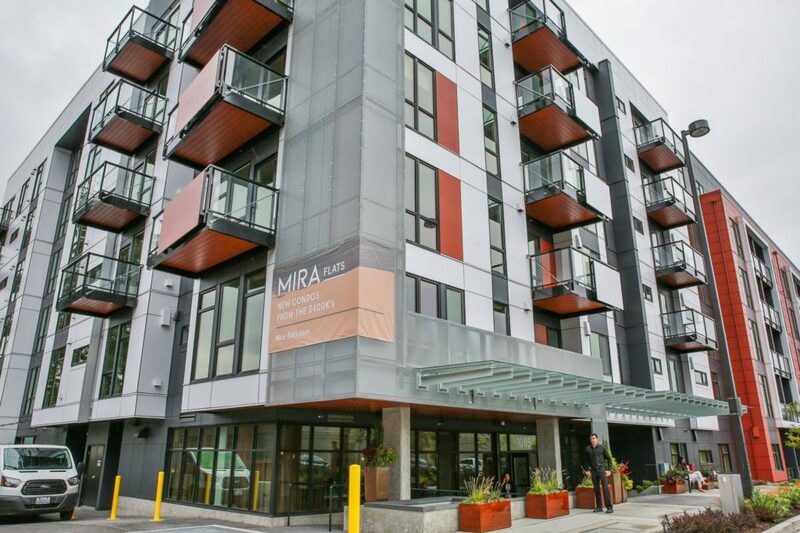 Mira Flats, the condominium building that began sales at the beginning of this fall, has pre-sold about 80 of their 162 units, according to Intracorp. 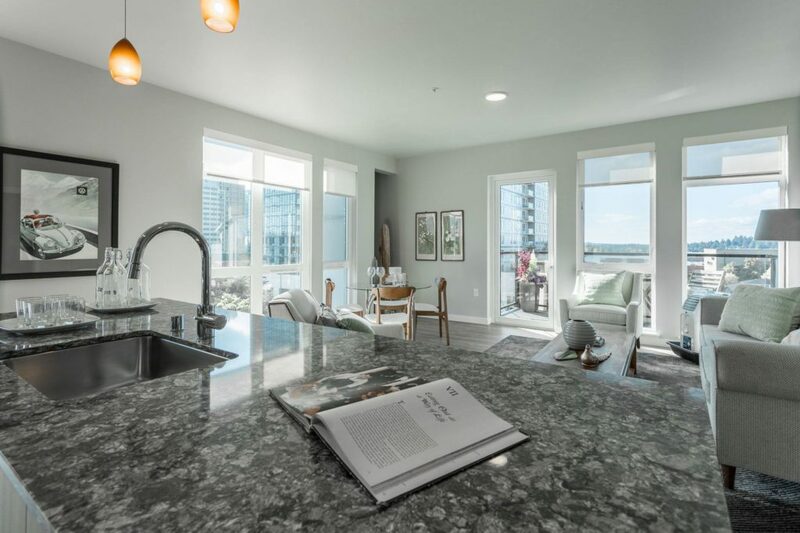 The condos, which were previously apartments, range in size from 400 to 1,200 square feet. There are one-, two-, and three-bedroom residences available. Prices start in the $400,000 range and go above $1 million for the larger homes. The six-story building includes stainless steel appliances, quartz counters, ceramic tile, expansive windows, and white painted millwork. Mira Flats was designed by GGLO Design, and Polaris Pacific is leading the sales and marketing for the building. It is located on 103rd Avenue Northeast.